Want to set up an e-commerce website for your business? E-commerce is outpacing brick-and-mortar sales by leaps and bounds, thanks to its broad selection, ease of payment, and overall (mobile) convenience. 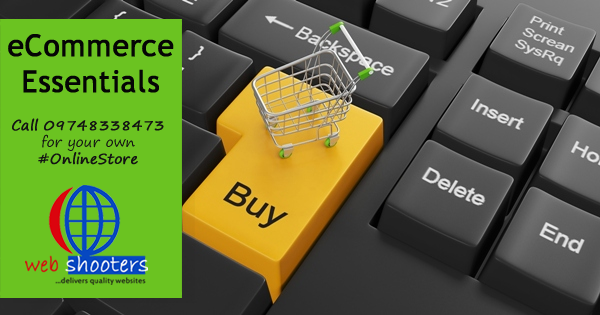 In fact in 2014, more than 200 million peopleshopped online in the U.S. alone, spending approximately $260 billion. What’s more, over56% of shoppers love the idea of paying from their mobile devices, and Cyber Monday 2014 put up the biggest sales numbers… EVER. With so many exciting benefits, why wouldn’t you try e-commerce? Before you start raking in your digital dollars, there are certain elements that are essential to establishing an e-commerce empire. Let’s take a look at each one, and get your business ready to join the digital sales revolution! Inventory: You need items to sell. Before anything else, you need to have tangible items ready and waiting in storage to fill your customers’ orders. And you need to have a precise list of all their particulars including price, measurements, product codes, and photos. Too few items in your inventory? Undecided about what items to sell online? Hang it up now. You’re sunk before you even started. Website: Your website acts as your digital storefront, and plays host to your e-commerce platform. It should be responsive (meaning it conforms to all device sizes). It should be easy to navigate (if a client gets lost, business gets lost). It should have colorful graphics, icons, and logos that really make it pop, and it should have great, original content to support it. Web Hosting Service: Web hosting services put your website up on the Internet, and allow your customers to visit your site. They store all the data files from your site, and upload them to the web when you need them. Domain name: Where (online) is your business located? Domains typically end in “.com,” “.net, ” and “.biz.” Those domain names are the most well-known and trusted. However, recently there has been an increase in usage of new generic top-level domains (gTLDS) such as “.guru,” “.club,” or “.company,” in order to stand out from the competitors. Whichever URL you choose, you can register your domain for many years at a time at very low cost. Shopping Cart Software: It’s time for your happy customers to pay for their merch. To do this, you’ll need a safe, secure system in place that lets customers select items to add to their “carts,” complete their transactions, and fill out delivery info to get their items shipped. Merchant Services Provider: Finally, it’s time to link your awesome online storefront to a merchant service to ensure the payment process goes smoothly. Merchant Service Providers act as an intermediary between buyer, business owner, and credit card companies. They approve of the funds in a transaction, then transfer those funds into the business owner’s designated bank account. Marketing! : Marketing, your well-planned promotional strategy, can also be an essential step in launching your e-commerce efforts. You can take advantage of the latest digital technologies and content marketing strategies (SEO, Display Ads, Social Media, PPC, etc.) to engage with your target audiences and let them know about the new e-commerce experience they can have with your brand! Once you have all the essential elements in place for your new #Online venture, everything turns into ready… set… e-commerce! Call 09748338473 to set your own #eCommerce #Store now! NextBuild your own business website, bring more customers.